Two necklaces in one! 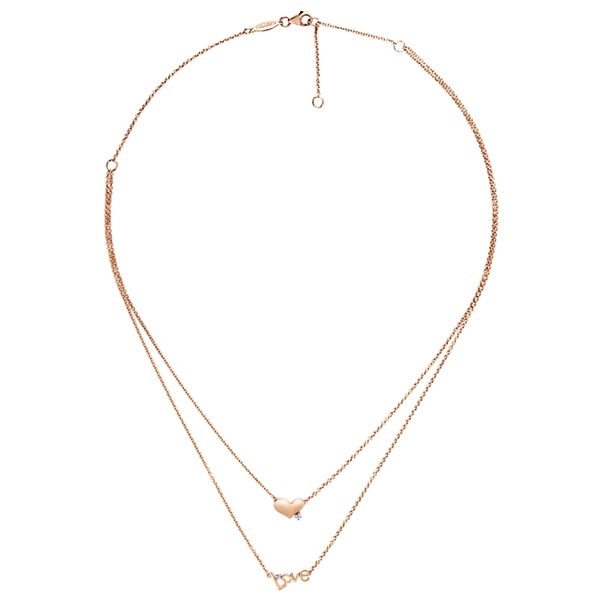 This deliacte and unique 14k rose gold neckacle features two separate sections. 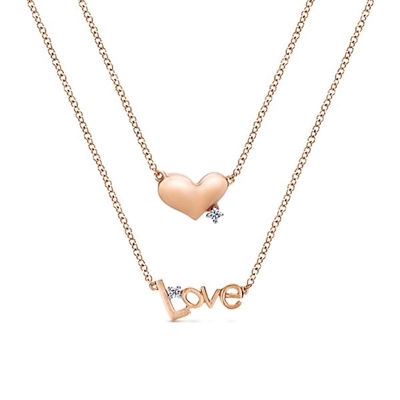 This delicate 14k rose gold necklace features two separate sections, one anchored by a delicate "Love" and the other adorned with a diamond heart.